I am excited to share with you three new products from H2O…. and AFFORDABLE! H2O is a complete line of sea derived skin care, body care and hair care using the purest ingredients from the sea to give you the best results in the oceans therapeutic active ingredients to repair, hydrate and synthesize collagen and elastin. The first product I’d like to share with you is the Sea Results 3-in-1 Foaming Cleanser. This isn’t your normal foaming cleanser either. 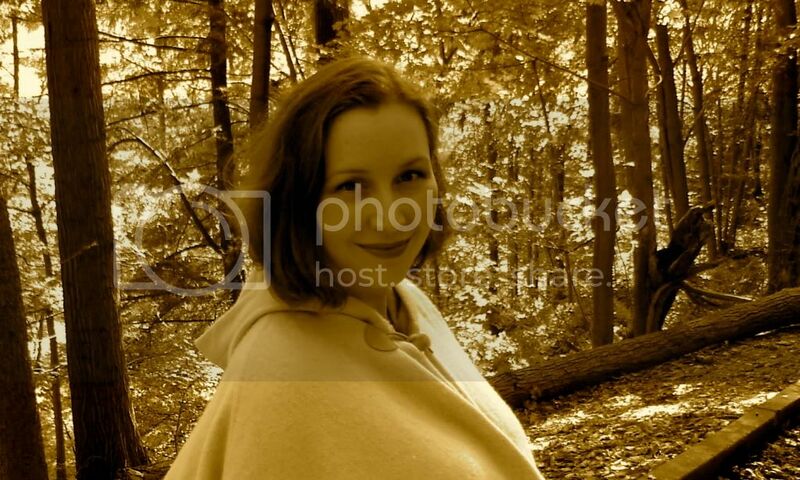 I tried it and I love it! It has a sikly consistency when applied to the skin, it is not drying at all which is what I find common in most foaming cleansers. With ingredients derived from coconut oil fatty acids this is why it’s not stripping or drying and the ingredients derived from apple juice cleanse in a gentle non irritating way. With a Botox-like activity this cleanser also has a Youth-Restoring Peptides which destabilizes muscle contraction! Concentrated Goldenrod is an organic botanical extract that naturally firms and regenerates skin tissues but wait here comes the sea derived minerals(Himanthalia, Spirulina and Nori) an exclusive to H2O which reverse the signs of aging. This is just the cleanser now learn about their new serum. 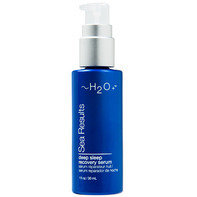 Sea Results Deep Sleep Recovery Serum. This is a nightly concentrated exclusive Marine Retinanol Complex, one of the strongest anti-aging active ingredients today and Youth Restoring Peptides. Works in harmony with the Sea Results 3-in-1 Foaming Cleanser it also has a botox-like effect on the skin and delivers deep to provide an antiwrinkle action on the skin. The Marine Retinol Complex is a highly stable form of retinol and ensures 95-97% pure retinol to be distributed on the skin. It is retinol (thins the skin) so please be aware this is only to be used at night time as it redefines the epidermis and you need to wear sun protection to avoid any sun damage to the skin. 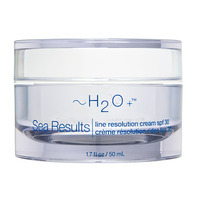 Lastly the Sea Results Line Resolution Cream SPF 30. This is a new day cream that smoothes lines and creases, hydrates, brightens and prevents potential pigmentation and sun damage caused the suns harmful rays. It enhances and revives tired skin, brightens the dull texture of the epidermis and reveals visibly younger skin as it reclaims lost elastin. Concentrated Goldenrod, Youth Restoring Peptide, Anti-Aging Sea Mineral, Garden Nasurtium is a plant that reduces pigmentation giving the complexion that healthy glow as I mentioned above and contains a Broad Spectrum Sunscreen for full protection. I encourage you to visit the H2O website or find a store near you to get your hands on this proven, result orientated skincare and beat wrinkles before they get you! Sea Derived skin care is where it all begins. Hey, Nice Post…Medicines are now became a very essential part of human life. As the vital organs are damaged, you feel less inclined to do any work and are gradually confined to your bed. But by taking proxacine on regular basis you can live a healthy & enjoyful life. It is a natural ingredient having no side effect.